Mold in the Home, Not Where It Should Be! You find it on a loaf of bread. Pop open your Tupperware and there you may see it again. Now look closely in the bathroom, well I bet you'll find some more. Yes, mold is something that we encounter daily. Well we may not see it everyday, but we certainly do breathe the by products of mold. 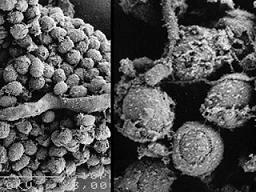 Mold spores are a fact of life whether we are indoors or out. Mold is natures digestive system. Without mold we would have piles of leaves that would never break down. The environment would be overwhelmed with large amounts of dead plant matter. Why does mold growth occur? Allergic reactions...repeated exposures can result in increased sensitivity. Mold can produce a variety of diseases in those individuals who have a compromised immune system. Mold has a number of different components that are of serious concern to indoor health. Some of the major ones are mycotoxins, mVOCs, glucans and mold spores. Mold is a biological air pollutant that needs to be handled with care. 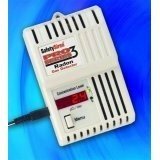 Featured gas detection devices to keep your family safe!